Why did I take a mini of L’Incendiaire along with me in Rome? 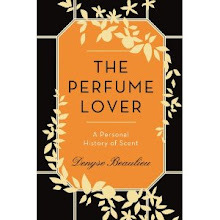 Perhaps its name, “The Firestarter” made me think of Emperor Nero, accused of having caused the great fire that ravaged Rome in 64 A.D. -- in interviews, Serge Lutens has stated that he would like to set fire to everything that holds him prisoner. 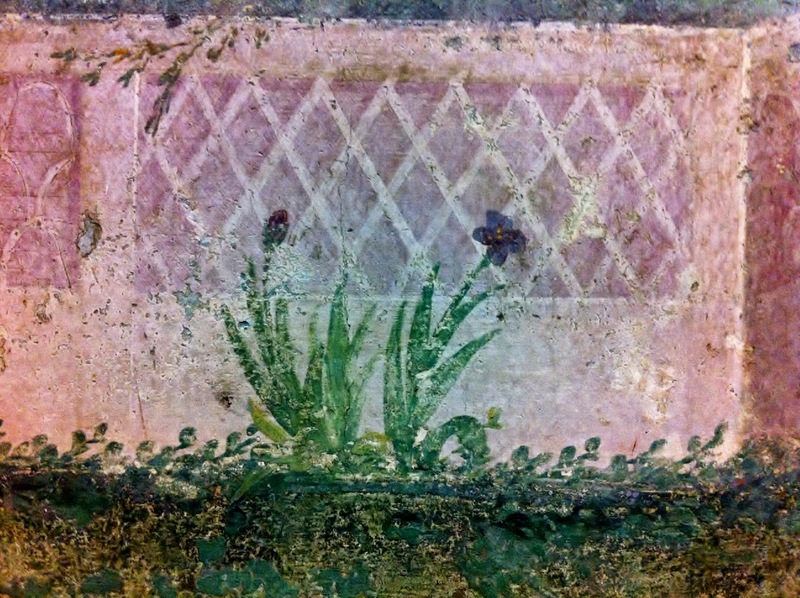 Or perhaps it conjured the dark, oily potions concocted by the unguentarii or incense blends mixed by the thurarii for the scent-crazed citizens of the Roman Empire…. 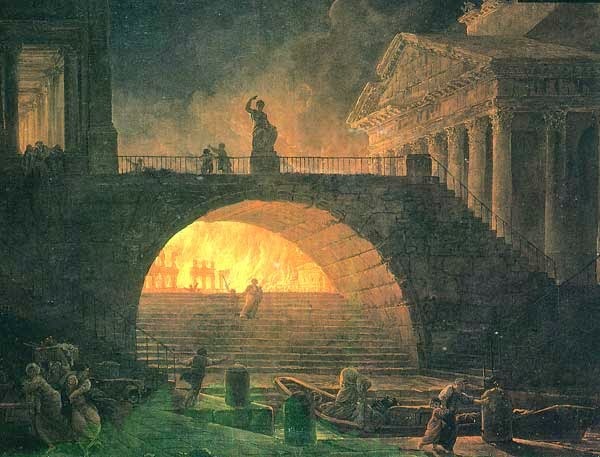 Certainly, L’Incendiaire could’ve been scraped off the bottom of the incense burners that have been smoldering for centuries in the Eternal City. Brooding, charred leather and woods, sticky with sizzling resins and incense tears, oozing the caramelized jam of an imperial purple plum. A honeyed glaze of roses. A haze of musk exhaled by the panther of Bacchus. It was wrapped in the archaic wafts of L’Incendiaire that I wandered from the ruins of the shrine of Isis, near my friends’ apartment, to the Galleria Borghese where we twirled around the Berninis, and then to bask in the golden light of the Byzantine mosaics in Santa Maria del Trastevere. 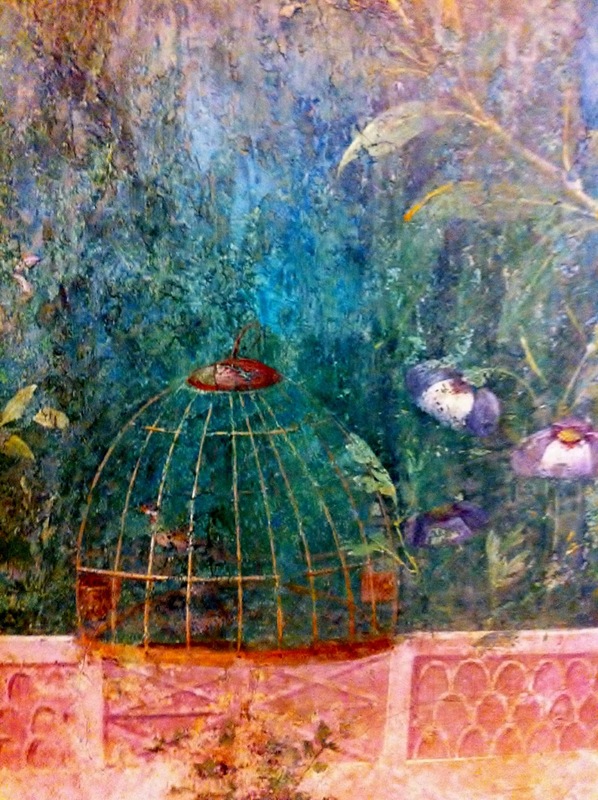 L’Incendiaire trailed along with me as I spent an hour contemplating the imaginary garden of Empress Livia, the wife of Augustus. 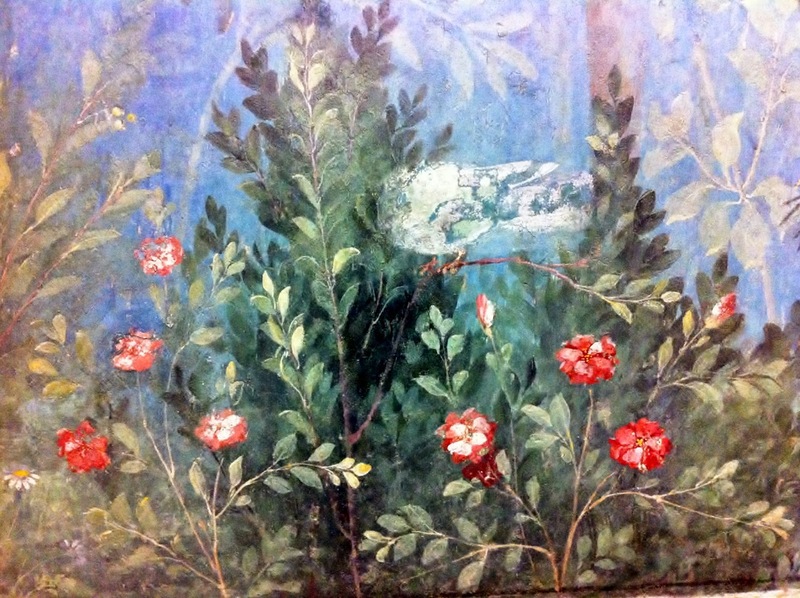 The frescoes were lifted from the triniclium of her villa – an underground dining room used in the heat of summer – into the Palazzo Massimo alle Terme, which houses the National Museum of Rome. 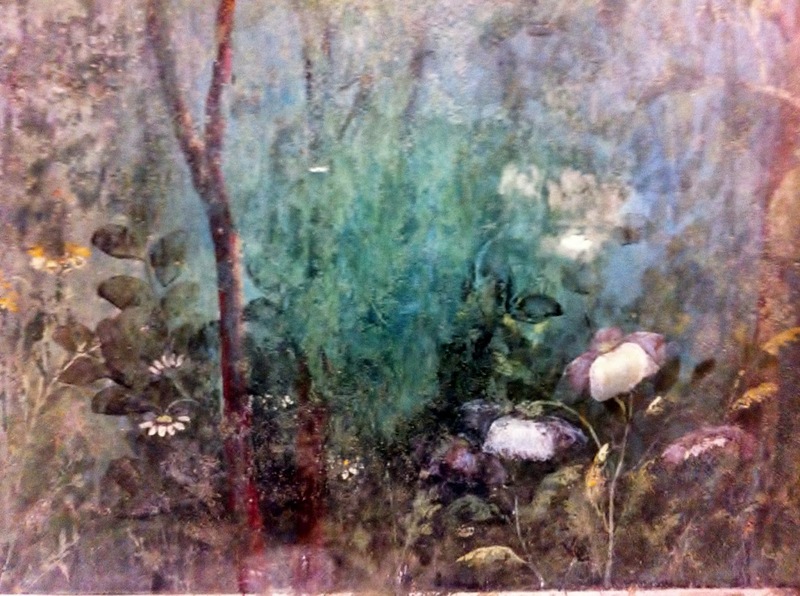 The plants represented are usually linked to myths, and many of them were used in ancient perfumery – rose, violet, iris, myrtle, laurel… These are the images that illustrate the post, linked with L’Incendiaire for no other reason than the fact I was wearing it as I evoked the ghosts of Ancient Rome. 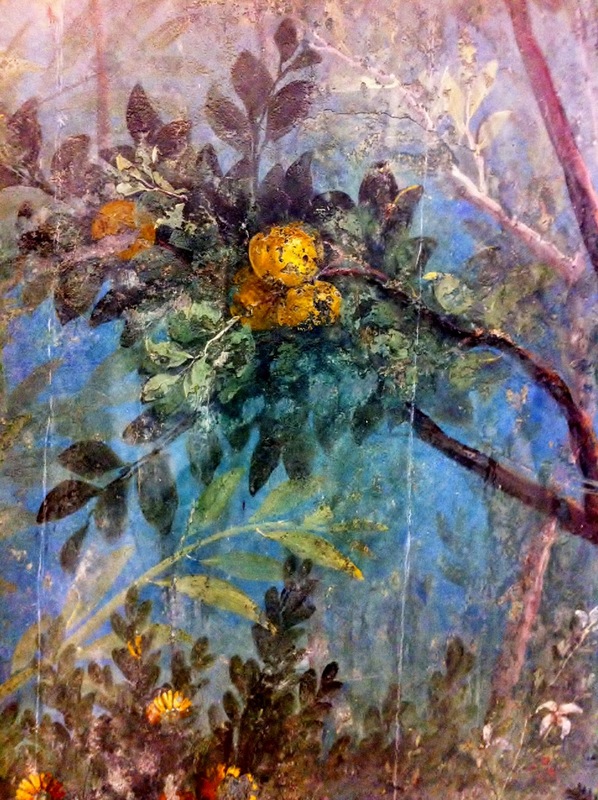 Imperial plums and the Panther of Bacchus, all summed up with Livia's dining room, I'm more than a little jealous. And now you tell me that it's only the first of ( yet another) exclusive and expensive collection... Is it even possible to smell in Paris? I find I do need rather a lot of that 'linguistic-help' to brush up on my rusty Italian... Rome is amazing and a great time of year to go too. My vocabulary spans from opera-speak to menus, so, yes, grappa did help with the rest... And November is indeed a lovely moment to visit Rome -- the soft golden light was glorious (the storm that nearly flooded the Trastevere, a bit less so). L'incendiaire has been available in the US at Barneys since August. I believe it's only available at super exclusive locations worldwide that carry the Serge Lutens makeup line. Thank you for the compliment and for the information, Emma. I admit I haven't really investigated points of sale! 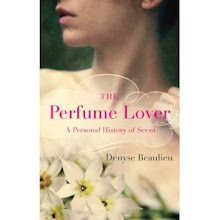 Inspiring post, Denyse, thank you! As a big fan of Rome- and grappa, too! ;-)- I can imagine how perfect match it was. I find that the Città Eterna does this, with perfumes: I was there once in an exceptionally warm May, with everything in bloom- lemon an orange trees, pittosphoruses, black locust trees and jasmines and I was wearing Mito- it was THE perfect scent! Hope to spend soon some time in Paris and "sample and swoon" over the Incendiaire! Mito was a perfect choice! It makes me think of nymphs and fauns, in perfect synch with many of the statues!